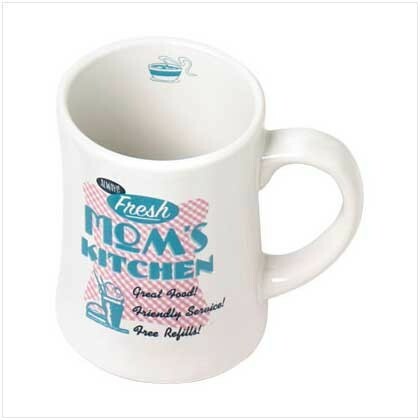 Nice and thick and decorated with wit, these diner-style mug is awesome for giving your crew a nice big serving of their favorite warm brew. 14 oz. Microwave and dishwasher safe. 3 3/4" diameter x 4 1/2" high.